Wheatgrass juice is a powerful detoxifier and floods the body with vitamins and minerals. Many consider it to be one of nature’s finest medicines! Purchase hard winter wheat in the bulk section of your local natural foods store or online. 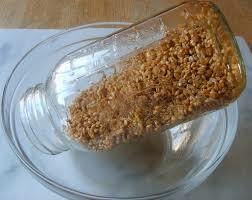 Soak 2 cups of the wheat seed in unfiltered water for 8 – 12 hours or overnight. 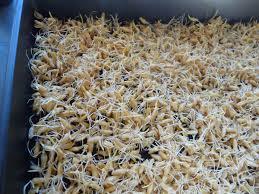 Sprout the seeds in a jar for 20 hours, rinsing well and draining 3 times a day. Spread 3/4 inch of organic potting mix in a planting tray with holes in the bottom. 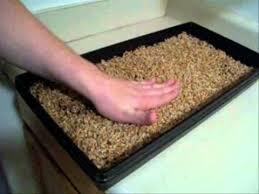 Spread the sprouted seeds evenly over the potting mix. Water the seeds/soil until water just begins to drip out the holes in the bottom of the tray. 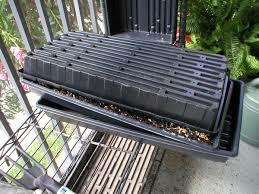 Allow this water to drain, and place another empty tray on top of the tray with seeds. This provides darkness to allow the seeds to begin to grow into grass. Place the covered tray in an area of your home that has indirect sunlight. Water twice a day… just until the tray begins to drip. 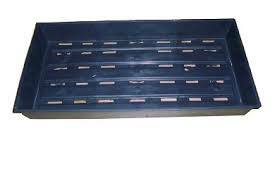 After a day or 2, remove the top tray allowing the grow to grow and begin to green. 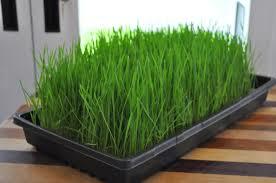 Cut and juice your wheatgrass when it is 6 or 7 inches tall (6 or 7 days). Wheatgrass has so many benefits!